THE REPUBLIC of ADYGEA, AZISH-TAU. The Azish-Tau ski resort is a tourist complex that perfectly fits in with the surroundings of one of the most beautiful places in Russia – the Lago-Naki plateau. A lift brings skiers up to a height of almost two kilometres above sea level. The length of the runs ranges from 1200 to 1500 metres. The resort offers two nursery slopes, and 24 runs suitable for all skiing levels from 600-4100 metres in length. 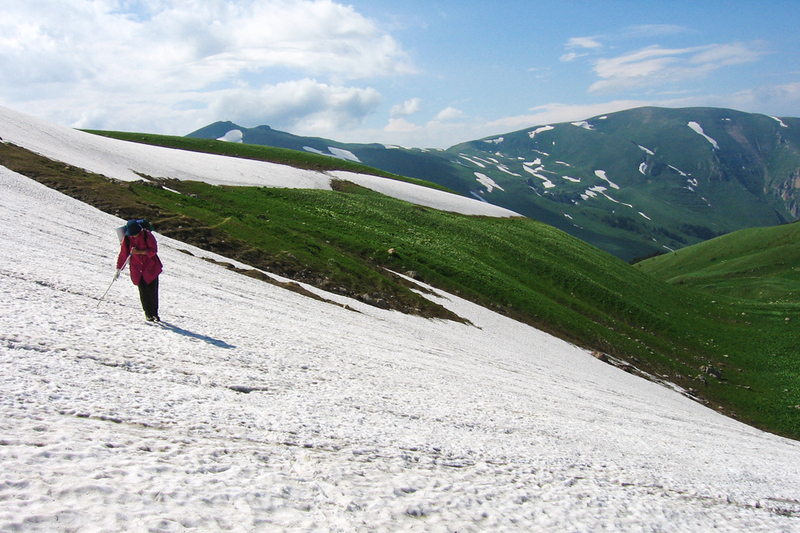 Azish-Tau offers a total 35-45 kilometres of ski runs.